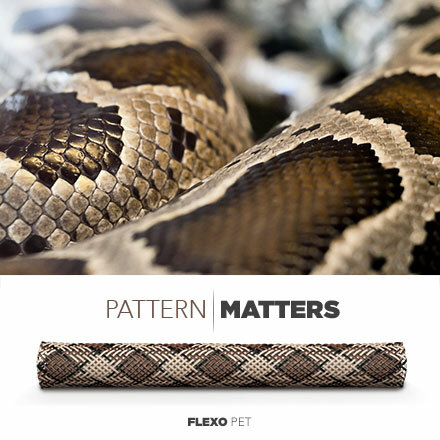 The FLEXO PET Color (PT) grade is used in electronics, automotive, marine and industrial wire harnessing applications where cost efficiency and durability are critical. 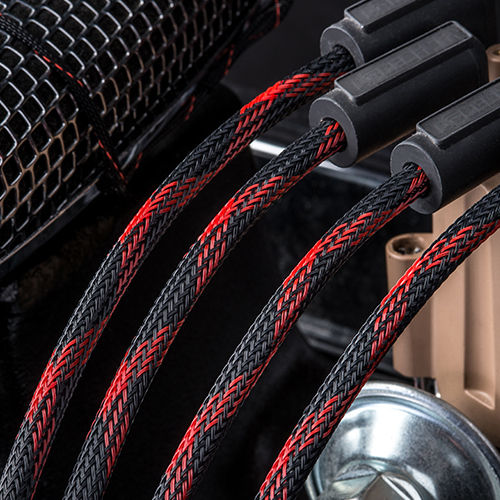 The unique braided construction and wide expandability allows quick and easy installation over large connectors and long runs. 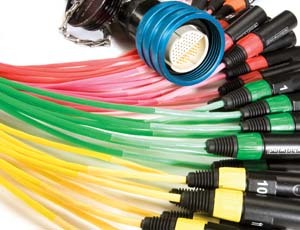 PT can be found in applications ranging from small office/home office to high tech wire and cable harnesses. 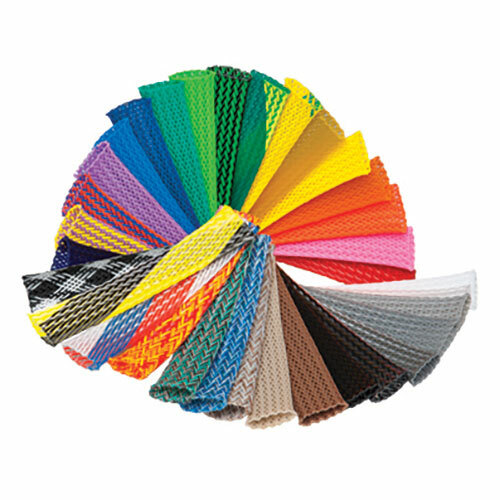 The wide range of available colors and sizes allows easy and systematic color coding in complex wiring and cabling schemes. PT is braided from 10 mil polyethylene terepthalate (PET) monofilament yarns. The material has a wide operating temperature range, is resistant to chemical degradation, UV radiation, and abrasion. The sleeving cuts easily and cleanly with a hot knife and once installed, will beautify and protect any wire, hose or cable application.